I wrote “Shukumei“. It means “Destiny” and “Fate” in English. 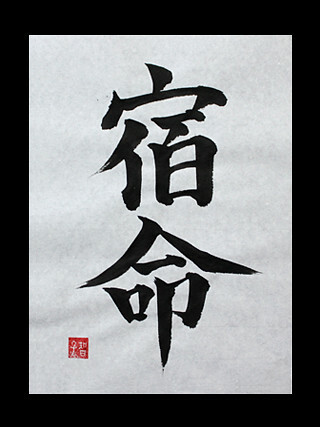 It also means “Karma” in Buddhism. “Shukumei” is similar to “Unmei“. “Shukumei” is destiny that determined before birth, and it can not be changed.